I am totally down with “doing your own thing!” I’m a child of the 60s, man, so it’s all groovy to me! OK, disregard that last bit. No matter how strong your sense of self-expression, doing your own thing in blood banking is not really a good idea. In this post, we will discuss who regulates blood bank infectious disease testing in the United States, what tests are required for U.S. blood banks, and how we handle spreading infections like Zika. (Note: This post is more about the process of regulating testing, and is not intended to discuss Zika specifically. Check the CDC web site for more Zika [“ZEE-ka”] details). In the United States, the safety of the blood supply is the responsibility of the Food and Drug Administration (FDA). In 1944, the Public Health Service Act empowered the FDA to oversee the safety of the blood supply in this country, and they have done so ever since. It may sound weird that an agency primarily charged with the safety of food and drugs oversees blood! However, to the FDA, blood is both a biological product (one that replicates a natural substance in the body) AND a pharmaceutical (a product used to treat, cure, or prevent disease). Blood products, like all drugs, need to be made from “safe and pure” raw materials to ensure that the resulting product won’t harm a recipient. Blood is different from drugs, though, because the “raw material” is actually a person! Dr. Susan Galel, writing in the AABB Technical Manual, puts it this way: “The FDA requires medication manufacturers to verify the suitability of every raw material in their products. For biologic pharmaceuticals, the donor is the key ingredient whose suitability must be scrutinized.” (AABB Technical Manual, 18th ed, page 179; emphasis added). From the 1940s through the 1970s, U.S. blood donors were screened only for syphilis. Blood bankers were aware that many patients were getting hepatitis after transfusion during some of those years, but we just didn’t have the methods available to do anything about it! As testing technology improved, and especially when Hepatitis B and HIV were identified in the 1960s and 1980s, respectively, more and more tests became part of the mandated panel. Transmission by transfusion is proven (though the risk is much greater with some than with others, and it’s really just mostly proven with ZIKV). Infection may include an asymptomatic period during which a donor who is feeling just fine could transmit the organism via their donated blood to a transfusion recipient. An FDA-approved test to detect the organism in blood donors is available! Which organism is the only one for which we perform THREE tests? For which four five organisms are nucleic acid tests performed? Which test is only required once per lifetime for a donor? Which is the only antigen that is directly detected by blood donor testing? Which test is generally performed in a pool with other donors during most of the year, then changed to single donor testing during high-risk seasons? So, seven eight diseases! Is that it? Are we good? Testing is available but optional. This category includes organisms like Cytomegalovirus, or “CMV,” a virus that does not harm most healthy people, but can have devastating effects in recipients with weakened immune systems. Most blood banks screen a portion of their donors for CMV antibodies for use in patients at risk, but the test is not required (see my video on leukocyte reduction for further discussion of the CMV issue). Testing is not approved for donors; screening done by history. Malaria is the best example of a disease that is important, but for which we don’t really have a usable donor screening test. In the U.S., wide-scale donor testing for malaria is not approved, but we ask donors detailed questions about their travel history to reduce the risk of an infected individual donating. Variant Creutzfeldt-Jakob disease (vCJD) is another example in this category, with donors who lived in the United Kingdom and Europe deferred from U.S. blood donation. Emerging infections. These are infections that may be spreading rapidly in certain parts of the world (often tropical areas, but not always). Infections in this category often overlap with the second category above, as we screen for some of these diseases only by history. Many have the potential for transfusion transmission (and some of them are proven to be transmitted through transfusion). This group incudes organisms with awesome-sounding names, like Zika, Chikungunya, Babesia, and Dengue. U.S. blood centers are aware of these infections, but in most cases, donor testing is either not available or not practical, and donors are screened partly by travel history and partly by symptoms. In some cases, as we are seeing in 2016 with Zika, emerging infections become so worrisome and/or publicized so widely that they get “moved up” from an infection we are aware of and monitoring, to one prompting urgent action. In January 2016, to prevent Zika transmission through blood, U.S. blood banks implemented a 28-day deferral for donors with a history of travel to Mexico, Central America, South America, and the Caribbean in order to prevent the possible transmission of the virus through transfusion. In addition, Zika testing has already been implemented on an investigational basis in certain areas where local transmission is present (for the U.S., as of this writing, only in Puerto Rico) throughout the United States as of late 2016. 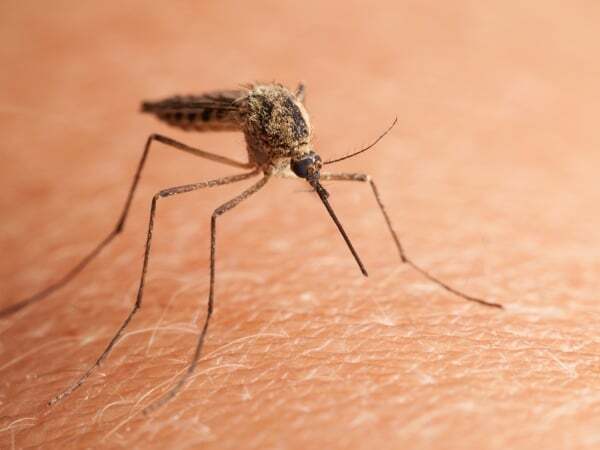 Occasionally, infections that continue to be a concern become ones for which testing is required, as was the case with Chagas Disease and West Nile Virus. So, how does the FDA actually decide when we need to start testing for something new? Historically, the process has not always been clear to blood banks. However, the FDA “Final Rule” for blood and blood components, effective in May 2016 (discussed in a previous post), kinda sorta answers the question. Basically, if a) a screening test is available and approved by the FDA and b) the disease is judged to have “sufficient incidence” in the donor population to affect the safety and purity of blood components, then formal screening may be initiated (like you, I really don’t know what “sufficient incidence” means, but that’s what they wrote!). Ultimately, the United States will join most of the rest of the world in using products that have been treated after collection to remove the infectivity of potential transfusion-transmitted disease agents! This process, known as “pathogen reduction,” has been approved by the FDA for U.S. use from one vendor at the time of this writing (at least for plasma and platelet products), and is widely used in other developed countries. The basic process involves treating a product with a substance that binds to the nucleic acid (DNA or RNA) of an infectious agent, then flooding the product with ultraviolet light to permanently cross-link that nucleic acid so the organism cannot replicate. Unfortunately, the technology is not yet perfected to treat red blood cells in this way, but it is only a matter of time until some form of pathogen reduction is available for all products. Hopefully, when that day arrives, we will be able to reduce some of the testing we currently perform, and worry less about emerging infections, like Zika, for which we do not yet have a test, which we started testing for in 2016 (What am I saying? We are BLOOD BANKERS! Worry is what we do really, really well!). Note: This post was updated with Zika testing information in March 2017. Updated text is generally in italics following original text that is marked with a strike-through. Standards for Blood Banks and Transfusion Services, 29th ed. AABB 2014:31-32. Zou S et al. Donor Testing and Risk: Current Prevalence, Incidence, and Residual Risk of Transfusion-Transmissible Agents in US Allogeneic Donations. Transf Med Reviews 2012;26:119-128. I cannot understand why only once in a lifetime for T.cruzi…How about those people who travel from time to time to areas where this parasite is present…How about people who have had Hepatitis B in the past but they are immuned at the time: HbsAg negative,Hep B NAT negative,Anti-Hbc positive and Anti-Hbs positive…I mean they had Hepatitis B in the past but they are not carriers anymore,can they donate blood in the US? Yannis, I understand your question, but I don’t have a great answer for why only one-time anti-T. cruzi testing in the United States. You are certainly correct that someone could travel to an area where Chagas disease is present and get an infection. You can read the FDA’s rationale here. For your second question, no one with anti-HBc in their blood can be a blood donor in the United States. The donor in your scenario would not be an eligible donor because of the positive anti-HBc (note that we do not test blood donors for anti-HBs in the United States, as everyone who has been vaccinated would have a positive test!). You are correct, however, that such a donor presents a very low risk. Jasmina, blood donors in the U.S. are not automatically asked about a history of hepatitis (some centers still do so for various reasons, but it is not mandatory). This will vary in different countries, obviously, but for us, the U.S. FDA has decided that asking about remote history of hepatitis is not useful. In the U.S., questions about hepatitis are limited to exposure risk through living with or having sexual contact with someone with hepatitis. You stated that testing for CMV is “optional”, why is that? I know if the donor is CMV positive it won’t hurt the general recipient but wouldn’t the blood donation centers want to know who is CMV negative so they could possibly call these people up if ever there was a shortage of CMV negative blood, especially since most adults over the age of 40 will have had exposure to CMV in their lifetime. I was just curious, I work blood bank at a general hospital, but I live close to a very large children’s hospital and I could only imagine that keep a very large stock of CMV negative blood. It is something where its not “required” but everybody gets screened for it anyways. Kelsey, when I say CMV testing is optional, I simply mean that blood centers make their own decisions on whom to test for CMV, unlike something like Hepatitis C, where everyone is tested by rule. Different centers make different choices on CMV testing, with some testing all of their platelet donors, for example, or some testing all of their O negative RBC donors as another example. You are certainly right that having a pool of tested donors is useful for circumstances where a CMV-seronegative donor is deemed important, but the strategy to that position is up to each center to decide. Are NAT tests for HIV-1 mandatory in all blood centers in the US? Yes they are, Alex.They are generally done in a “pooled” manner (in concert with HCV and HBV NAT). Oh like a ULTRIO test. Right? Thanks a lot Joe! Yes, that is one of the two approved versions of the nucleic acid test for HIV/HCV/HBV in the U.S., Alex. But I don’t understand how it picks up HIV-1 infections as early as 7 days of someone getting infected it’s scary if you think about it. Are they really that sensitive and accurate at 9-10 days? That is what the available data indicates, Alex. But doesnt the “pooled” method dilute the strain so much that even amplification isn’t enough to verify there’s a virus? Im sorry but I’m doing a journalistic project and trying to be accurate. Alex, let’s take this off of the comment section. Please email me through the “Ask” link at the top of the page. For smaller tissue banks, can the required NAT testing still be performed manually with the FDA approved reagents / testing protocols, or is it required that they be done on the current FDA approve automated platforms? Mark, unfortunately, that’s really a question for an expert tissue bank specialist. I think it most likely that FDA would want the test done on an approved platform, but again, that isn’t my main area of expertise.